To paint a good portrait, it’s best to work using a live model, or if that option isn’t available, then make sure you have a good picture – one that has the person’s features at a good angle and with great shapes within their features. Also, make sure the lighting is optimal; not too bright so the colors are bleached out, but not too dark so you can’t determine features clearly. 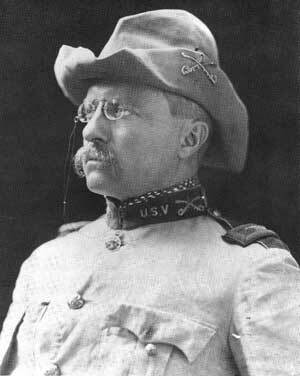 Here, Steve uses a black-and-white picture of Theodore Roosevelt. You can use the same one by printing a copy here. Start by lightly sketching the basic lines using an HB or 2B pencil. Keep it simple, take your time, and keep measuring the distance between facial features to get the proportions right (you can use your thumb or pencil). Study the shapes created by the hat, clothes, and facial features to get the best results before adding details, including shapes of cast shadows, to the drawing. Clean up any extraneous lines with a kneaded eraser before continuing.